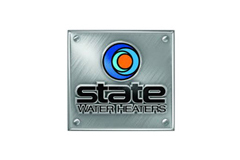 When your water heater is leaking or breaks down, you need service fast. 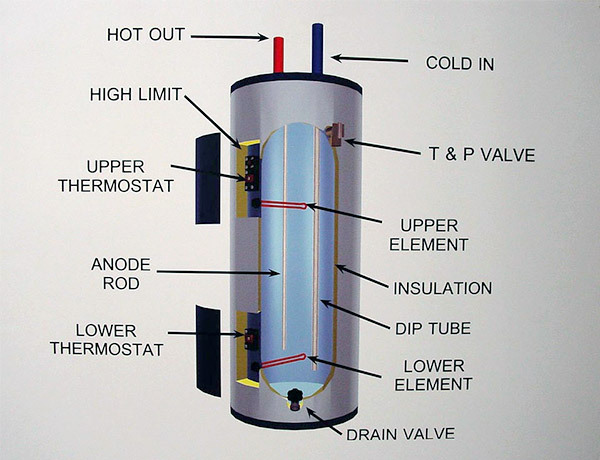 Not just because you need hot water, but because of the other risks associated with a broken or damaged water heater. 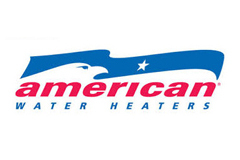 Our service technicians are thoroughly trained to provide expert service on your tank or tankless water heater. 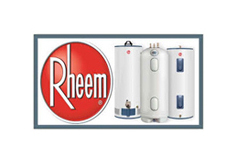 Water heater repairs and maintenance can be done on the spot, and our repairs are guaranteed. We’ll make sure everything is safe before restarting your repaired or new water heater. So whether it’s installation of a new water heater, or repair of your old one, you can feel confident that we will do the job right the first period. Electric water heaters use heating elements to bring the temperature up to a level set with a thermostat. The standard setup is a single element towards the top of the heater, and a second element towards the bottom, each having their own control. There design is simple, and aside from extreme old age, or a leaking tank this type of water heater can usually be repaired. One thing you, as a homeowner, can try before calling us is try to reset it. Sometimes a power surge may cause the water heater to trip a safety switch located behind the top access panel. If your water heater suddenly stops working, just remove the cover, and press the red button on the thermostat. If you hear a ‘click’ then your water heater should begin to heat up again. But if it continues to keep failing, then it is definitely time to give us a call…something more is needing repair. 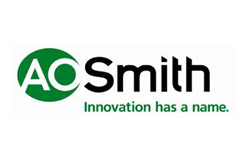 Gas water heaters are not something we suggest a homeowner try to work on themselves. 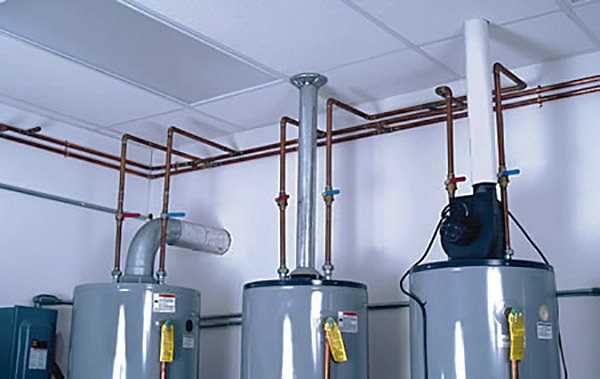 There are a few different styles of gas water heaters, depending on the installation location and need. 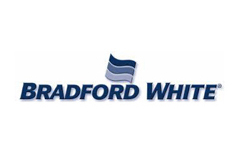 In all cases, the fact that we are dealing with gas, and we are dealing with exhaust fumes, you should be sure that the company you call knows what it’s doing and does it right. Here at Solutions Mechanical, we are fully licensed in gas, plumbing, and HVAC, and you can be sure we will repair or install your water heater right, to keep your family safe. So call us today, we can get you back into hot water!